In speaking with prospective clients, there’s one comment that comes up a lot in the many conversations we have. "I just need more willpower”. "I know what and what not to eat , but I just don’t have the willpower to stick with it". I don’t have the willpower to resist the different temptations in my life. "I can’t resist those late-night cravings of chocolate, cakes or Netflix as well as willpower to hold back from bad relationships. I can’t resist staying away form my phone and social media"
This is the illusional type of power , where you think control/pressure/fear will give you strength, discipline ,safety, power and happiness but it does the opposite. It creates self-doubt, reinforces the brain to go for it . Brain can’t tell the difference if you want or don’t want this craving, the brain only hears what you focus on.This type of willpower cuts off the stream of creativity and intuition, and disconnect you from your true needs and sources of joy. It disconnects you from your real power. This type of will power, won’t power you. Until you are able to cultivate and build self-awareness. self trust, to let go of control you won’t be able to transform your relationship with food, body and yourself. So, how do you build self-trust and reclaim the Real willpower? This is the most important part of our willpower muscle. It’s the part of the brain that remembers what we really want. It is trained by building self trust and increase the level of self-awareness . 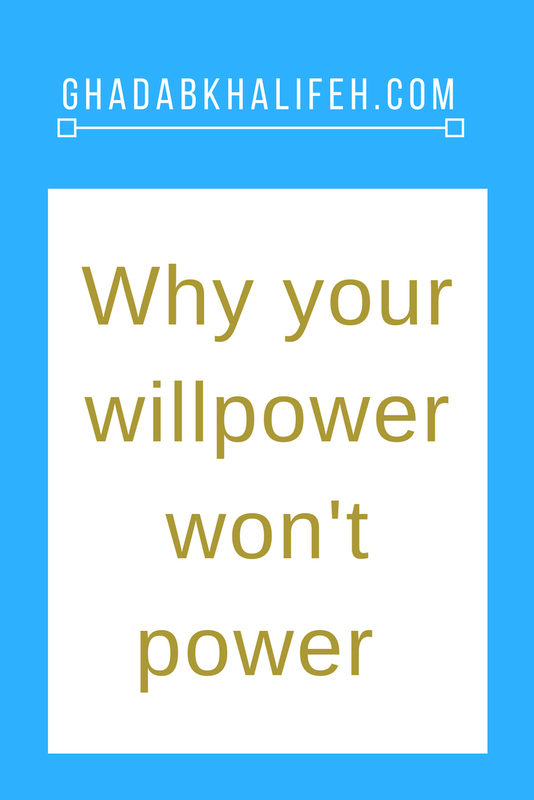 This will power is trained when you become curious about why you want the willpower , why do you want to resist the temptation in the first place, What do you really want. You do not judge your appetite and fear your cravings. you accept your appetite, you trust body signals, trust your intuition so you can hear what you actually need. what are your dreams, goals, what's on the other side? It is becoming curious about why you need to resist this donut, or chocolate, or why you want to go to the gym, or why you need to end this relationship .It is about learning to nourish your needs from a place of love and balance ,from a place of owning what you want and why you want. When you activate this part of the brain" I want power" , the motivation to resist the temptation comes more naturally to you , and your cravings become less powerful. CALL FOR ACTION: choose a willpower challenge (whether its going to the gym, not eating sugar, not eating late, or you want to cut down on social media hours ), anything that you’re currently struggling , and fuel your why to activate the “I Want” power muscle in the brain . Make a list of all of your goals and keep it where you can review it every day. Share below or leave any comments. If you want to take this willpower into more practice and learn tools to activate in the brain , schedule a conversation.